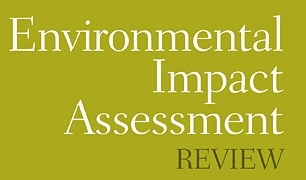 Louis co-authored a research article in Environmental Impact Assessment Review on the relationship between governance contexts and the development and outcomes of Strategic Environmental Assessment (SEA). The main objective of this paper is to understand if, and how, the governance context may influence the system and institutionalisation of SEA, and the capacity of SEA to reach its objectives. The research methodology is based on the comparison of six country-cases that have an established SEA system, including three European countries, two Asian countries and one in Latin American, with distinct national culture and political-administrative setting. Results show that cultural and institutional values impact how SEA is interpreted and carried out, and that SEA systems are facing constraints of a more normative and cognitive nature. Connecting governance contexts and patterns in the SEA systems confirm that SEA is not ‘context free’, but instead ‘context-influenced’, while its capacity is dependent on its level of adaptation to the governance environment.